Event on Saturday, Dec. 9 on Broadway Street will support the Estacada Area Food Bank. Live music will soon be heard along Broadway Street in support of the Estacada Area Food Bank. The Estacada Broadway Street Music Fest, a new event in town, is scheduled from 1-2:30 p.m. Saturday, Dec. 9. 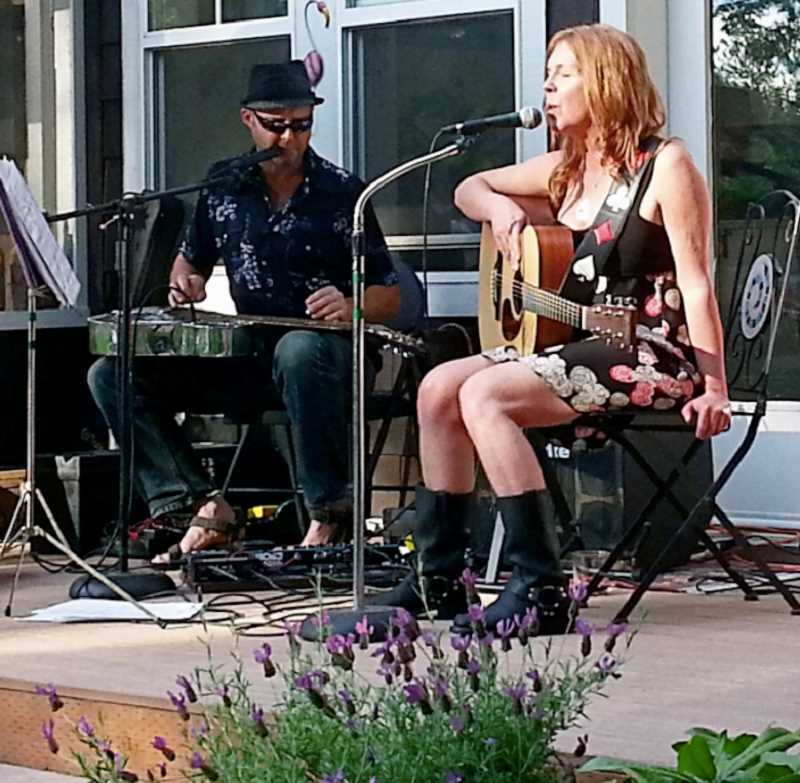 Suburban Legend will play at Fearless Brewing, Mojo Holler will play at Whitney Signs and the Estacada Food Bank Band, a compilation of several musical groups, will play at the Mason Jar Cafe. Musician Keith Parkhurst will walk along Broadway Street singing and playing guitar, and mayor Sean Drinkwine will be available for a meet and greet at Whitney Signs. Attendees are asked to bring a canned food donation for the food bank. "I wanted to do something to help where I live," said Todd Brown, the event's organizer. "Living in a place like this, it's small enough to make a difference if you're involved." Brown decided to organize a music event partially because of his connections in that industry. "I wrote a book about the tribute band scene. I met and became friends with these guys," he said, noting that he thinks the band's Portland area followings may bring a greater number of attendees to the fundraising event. "I'm hoping they bring people outside of the area to make a difference." Brown added that the bands will play a variety of music during the event. The members of the Estacada Food Bank Band will offer a 1980s acoustic rock sound, Suburban Legend will offer a blues and folk sound and Mojo Holler will offer a sound similar to that of Bob Dylan and Neil Young. "They're all acoustic sets," Brown said. "There's nothing really loud and rambunctious." He added that "all the bands are very accessible." "They'll talk to people and probably take requests," he said. Andrew Losli, who plays the drums in the Estacada Food Bank Band, is looking forward to the event. "It will be interesting to see how many people we can get out to Estacada," he said. "(During the event), you won't be stuck in one place. There are a few different venues. It will be interesting to float around, land where you want and stay as long as you wish." Losli encouraged anyone interested to attend. "It's for a good cause," he said. "It gets you out on a Saturday afternoon, and you can bring the kids to this. It's a nice family thing." Brown noted that during the event, donations for the Estacada Area Food Bank of any size will be valuable. "There's nothing that won't help," he said. "One 49 cent can of tomato soup or $5, it all adds up. If everyone did one little thing, it adds up fast." He hopes the event raises awareness of the food bank. "With the influx of people moving in, people probably don't know it exists," Brown said. "I hope this shines a light on it."